The Lunchbox World Blog: Inspiration for your lunch box: Happy Halloween! It's that time of year! Halloween of course! 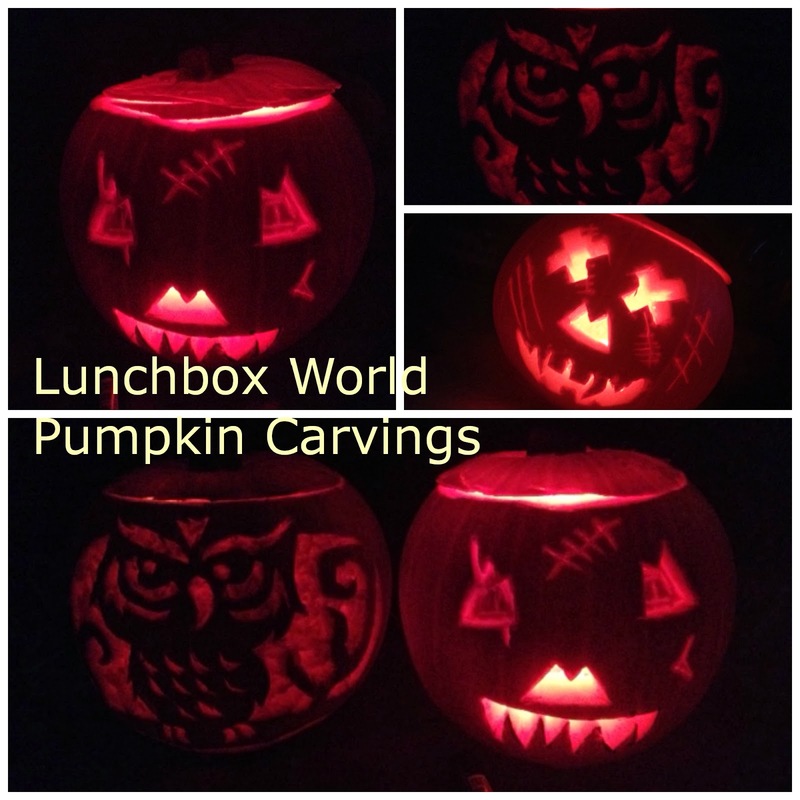 and the kids have all been busy creating and carving these pumpkins. Tuna (15) created Twit Twoo, King Julien (11) created the scar face (top left) and Spike (12) created the cross eyed chap! I can only take credit for sitting and supervising, whilst the kids created! Granny treated the kids to the pumpkins, the kids created them and I just sat and watched and observed! Totally awe-struck! Do share your creations with us! PPS We just saw Sticky Fingers has this as the theme this week in #TheGallery, so if you want to join in, hop on the badge below to find out more!